from <0.01-<0.001. 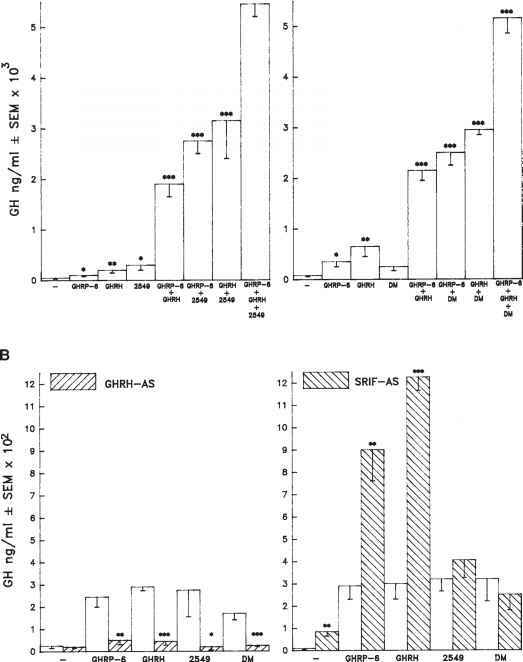 (B) In vivo GHRH and SRIF antiserum (AS) immunoneutralization studies on the GH responses of GHRP, GHRH 1-43OH, 2549 opiate, and dermorphin (DM) in rats. GHRH AS, SRIF AS, or normal rabbit serum (0.2 mL) was injected iv at -1 h into conscious 26-d-old female rats. 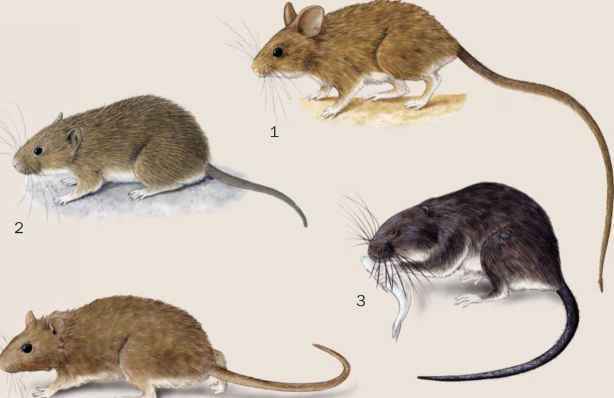 At zero time, rats were injected in the tail vein with saline, 10 ¡¡g GHRP, 10 ¡g GHRH, 10 ¡g 2549 opiate, or 100 ¡g dermorphin and killed at +10 min. Each value represents the mean of 6 ± SEM. Peptide/2549 vs peptide/2549 plus antiserum: *p < 0.05, **p <0.01, ***p < 0.001.